Ga Yao! Ga Yao! It’s a familiar refrain of encouragement during sporting events in Hong Kong. But it doesn’t end there. Teachers have been known to use it in classrooms when dealing with students suffering from depression and anxiety. Literally translated as “add oil”, it means keep going. Sadly, depression is not cured by simply knuckling down and cracking on. And it’s this attitude to mental health that Dr Jamie Chiu, founder of The Brightly Project, an initiative designed to help Hong Kong’s youth fight mental health issues through technology, is trying to address. “There’s this mentality that mental health disorders are a choice, like you can get over it – you just have to stop being depressed,” says Chiu. This is not the case, as Chiu well knows from experience, not only as a clinical psychologist and therapist herself, but as someone who has struggled with depression and anxiety. Chiu is of Chinese descent and was born in Hong Kong, but she spent most of her formative years, from the age of 5 to 15 in Ghana, before moving to Australia. “I always felt like I didn’t fit in. I was different from everybody else, but, being a kid, I didn’t know why,” she says. Chiu went on to pursue that career in psychology. While qualifying as a clinical psychologist and working on her dissertation, she was carrying out depression screening in schools and looking into tools that schools could use to connect students who needed help to the right support. At the time, screening was undertaken using written surveys and included questions that, in the opinion of many who took them, were insensitive, particularly to those who might be suffering from mental health issues. The analogue nature of the process also made these screenings inefficient, especially when dealing with potential suicide risks whose issues could be critical. Chiu had identified such problems. “When you don’t accept how things are done, when you question things, you can make a difference,” she says. “In the field of psychology and mental health, there’s not a lot of innovation and not a lot of people questioning how things are done.” But with an entrepreneurial attitude, she was determined to start improving processes and solving these problems. Chiu discussed them with her partner, Mark Altosaar, who came from a human technology interaction background, and the couple decided that there was the potential to create something that would resonate much more with young people. That was the beginning of The Brightly Project, which stemmed from a vision that “everyone should feel hopeful for their future”. While mental health issues can cloud hope, Chiu wanted to encourage a positive outlook by connecting people to the care and support available through the use of innovative technology. A third co-founder, Cole Bailey, came on board, bringing with him skills in computer science and engineering to help with this. The initial idea was for a game that could detect depression. It was something that wouldn’t rely on a student being able to know their own feelings, yet psychologists would be able to observe and assess that student as they played. The game is currently under trial in a clinical hospital and is being tested for its effectiveness in monitoring students or young people who are admitted to hospital for suicide attempts. And psychiatrists have been positive about its potential. However, it looks like hospitals may be as far as the game will go at this stage. While the original aim had been to roll out the game to students, it met with resistance from schools who understandably didn’t want their students playing games, even if it was for screening purposes. 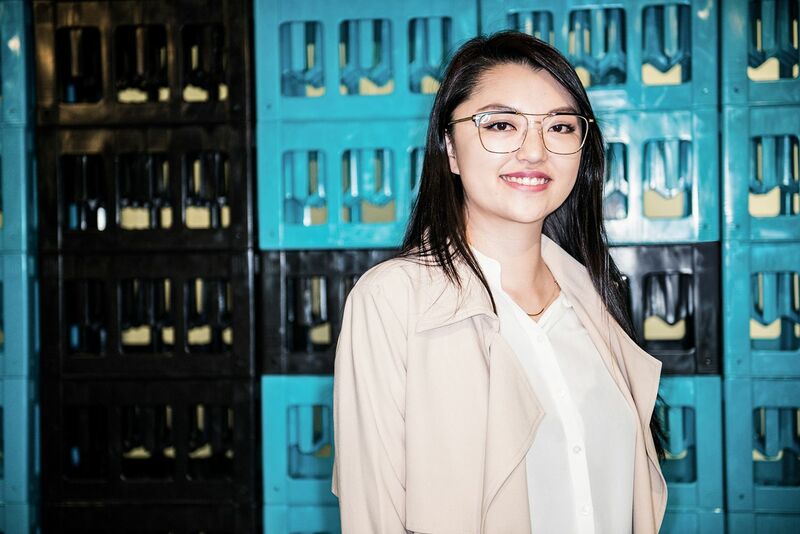 Always ready to adapt, Chiu returned to the drawing board with her team and came back with the Brightly Project’s second product, Know My Students, a chatbot that assesses students for depression and mental health. Know my Students helps to identify students whose symptoms may be less obvious but who are nevertheless facing mental health issues. While it may be easy to spot that, for example, students who play truant may be dealing with certain challenges, there are high chances that those who have good grades yet are quiet may also be struggling. The chatbot is used to converse with students online, asking them how they are doing while trying to work out whether they have any symptoms or difficulties. It has been developed specifically for young people, so is relatable, and it addresses a variety of possible stressors, such as school life, exams, grades, the future, career goals and expectations, social life, body image, self-esteem, and self-confidence, asking them questions outright but also analysing the way that students respond. “If you are going through depression or if you are having depressed mood or a lot of things on your mind, you actually become cognitively slower,” says Chiu. “It’s not always noticeable in person, but we look at typing speed or how quickly kids go through question by question, and we can notice significant differences in students who are going through something.” The terminology also changes, with red flags raised when conversation with the bot is less about ‘we’, ‘us’ and ‘my family’, and more about ‘I’ and ‘me’, an indication that students might be becoming more inward looking and caring less about the things and people around them. The bot also lets the students know about the resources that are available to help them. This leads into The Brightly Network, another product under the Project, which ensures students with issues are able to get the right help. The directory of therapists, counsellors and psychologists is used to match those who need care and support with the right people based on their personality. As well as addressing the symptoms of mental health, it’s important to look at the causes. Academic pressure is often identified as the biggest contributor. But for Chiu, she says “The way I see it is that academic pressure is not the root of the problem, because everybody is facing academic pressure. It’s that some students are more able to cope with the stress.” It is those who cannot who are most at risk, and these are the students who need to be supported appropriately. The Brightly Project’s Know My Students chatbot is already being used in a number of schools in Hong Kong and is proving effective. For every 150 students who interact with it, the bot has been picking up two or three students who the school did not know had potential mental health issues, while some students at suicide risk have been identified at critical moments. There’s more to be done, but with success stories already under her belt, Chiu is not only expanding the Know My Students project to more schools in Hong Kong, but also has pilot projects lined up for schools in the US and Canada. Ga Yao, Jamie!